Enjoy the soothing ambience of Big Ben Restaurant with one of the best veg thalis in town. 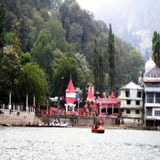 The music here adds charm to the place which is rare to the religious town of Haridwar. 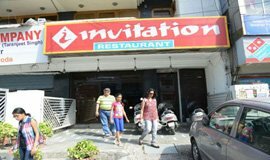 Located at a walking distance from both the railway station and the bus stand, the restaurant is not only convenient to reach but is also perfect for a meal for the entire family. The service can be a bit staff here can sometimes make you work on your vocal chords more than it is required but the food makes up for it big time. 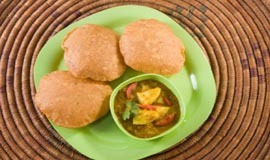 Try the paranthas here along with raitas of different kinds. . 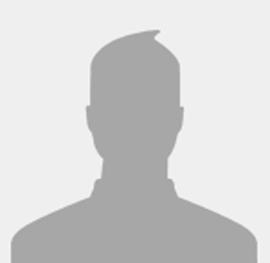 Invitation is located right in the heart of modern Haridwar, quite close to the Main Complex Area. Needless to say, it's one of the best places to dine in at. Harping more on the multi cuisine food, it's got the best of all worlds. 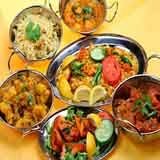 Perfect for a family dinner, it has a wide range of snacks, Chinese, Continental and Indian fare on the menu. You can also dig into some sumptuous pasta, pizza and more here. 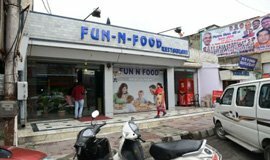 Fun n Food is a favourite with residents and tourists alike, being one of the first restaurants to have opened up at Haridwar. 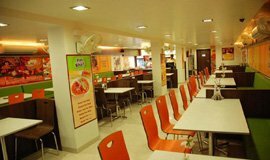 A multi cuisine posh facility, it boasts of an efficient service and more than average food. Snacks are the speciality of the restaurant, with spring rolls, sandwiches, pizzas and more as the favourite ones. It's also a favoured hangout zone for many, usually brimming with young, college crowd. 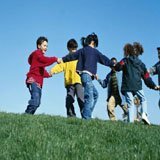 It also boasts of an outdoor partying place, which can be reserved well in advance. 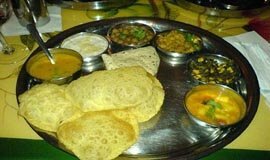 Another good option for exploring what North-Indian cuisine is made of is at Hoshiyar Puri. 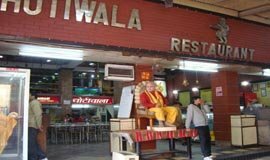 It's one of the most renowned and oldest food joints at Haridwar, having a fan following of its own. Boasting of an amazing collection of dishes on the menu, the restaurant is known for its lachha parantha and frozen rice pudding (kheer). Moreover, one should not miss aloo gobhi ki sabzi and dal fry here. The prices are affordable, the ambience is nice and the staff is courteous which make the overall experience of having food here one of the best in town. .
Having achieved many milestones in the Food Industry, Mohan ji Puri Wale is known for their traditional homely food. From Aloo Puri, Samose and other snacks to sweets like Laddu, Halwa and Gulab Jamun, they have something for every foodie. 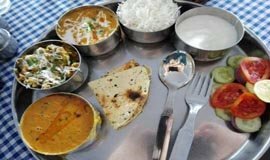 If you want to pamper your taste buds with some 'desi' food, then this place is a must visit to treat yourself with a satisfying meal after a holy dip at Har ki Paudi. 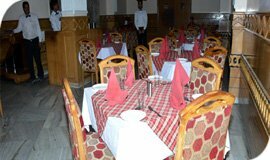 Host Restaurant serves Chinese, Indian and Continental cuisines. The place is known for its impeccable service and mouth-watering delicacies. Head here for a wholesome meal, in a cosy ambience. The interiors are basic and are not extremely flowery. 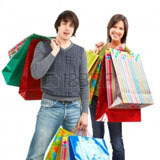 It is a good option for someone looking to have a filling, inexpensive dinner or lunch. 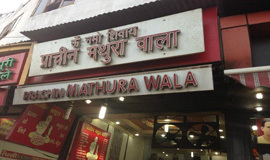 Situated at a great location, Pracheen Mathursa Wala is known for its authentic 'poori aloo'. 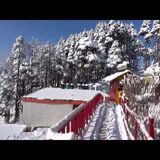 After taking a holy dip at Harki Paudi, you can head to this place for a delicious breakfast, accompanied with delectable sweets to satiate your sweet tooth. 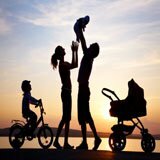 No matter how busy or crowded this place is, you will be always addressed with the best of services and hospitality. Offering mouthwatering treats like kaddu ki sabzi, peethi pooris, aloo ki sabzi, kachauris, lassi, suji ka halwa and jalebis, this place is worth every penny.